It's October, which means writers all over the world are starting to think about National Novel Writing Month (me included). 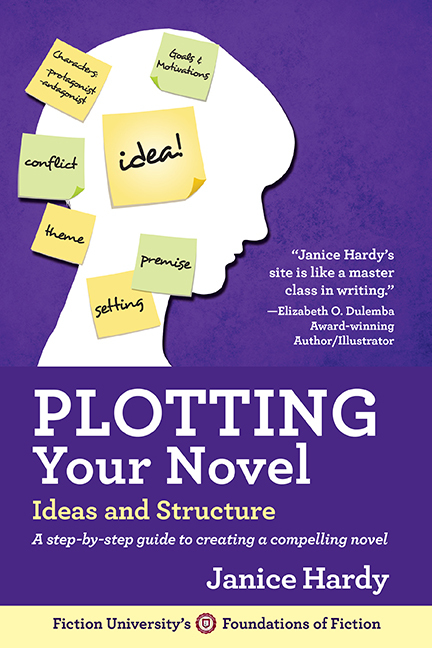 To help you make the most of NaNo, for the next two weeks, you can get my Plotting Your Novel: Ideas and Structure ebook for free. Throughout my career, I have received tremendous support from the writing community and I can't think of a better way to "pass it on" than helping this year's NaNo crowd hit their goals. Writers helping writers is what it's all about. For those who've always wanted to write a novel and weren't sure where to start, I hope this guide gets you onto the right track. The giveaway is now over, but you can still subscribe to the newsletter and receive news and information on future promotions. I just tried it and it worked. Perhaps there was a connection issues that made it lag out? If you still have trouble, please email me and I'll add you directly to the list. I received the OK on subscription. How to receive the download? You should receive a second email that welcomes you and has the link to the files (epub or mobi). It's supposed to be sent out immediately, but sometimes it takes a little longer. I couldn't get the subscribe link to work under Firefox, even with all my security ad-ons turned off. I tried it with Edge and that worked. Thanks for the book. I'm busing enjoying "Understanding Show, not Tell" -- it's very good, as good as any of Donald Maass's work but more concise :) -- so I haven't gotten to "plotting" yet. Sorry about that. Glad it finally worked. I've replaced it, so let's see if that helps. I replaced the embedded form, so maybe that will fix it. If not, please email me and I'll add you to it manually. Thank you for the gift, Janice.I've been reading your blogs at the Fiction University for years and wished that I discovered you when I first started writing. Your generosity in sharing your knowledge means a lot. Most welcome! Hope you enjoy it and find it useful. Thank you for this offer and for the brainstorming tips you offered in your post, "How to Use Focused Brainstorming to Develop Our Plot", at Jami Gold's blog. Both came at a time when I needed the kickstart. Thanks so much for your generosity, Janice! Janice, Thank you so much for your book. Really appreciate it !!! The link doesn't seem to be working. I subscribed, but I didn't get the second email. I'd sure love this offer if it is still available.